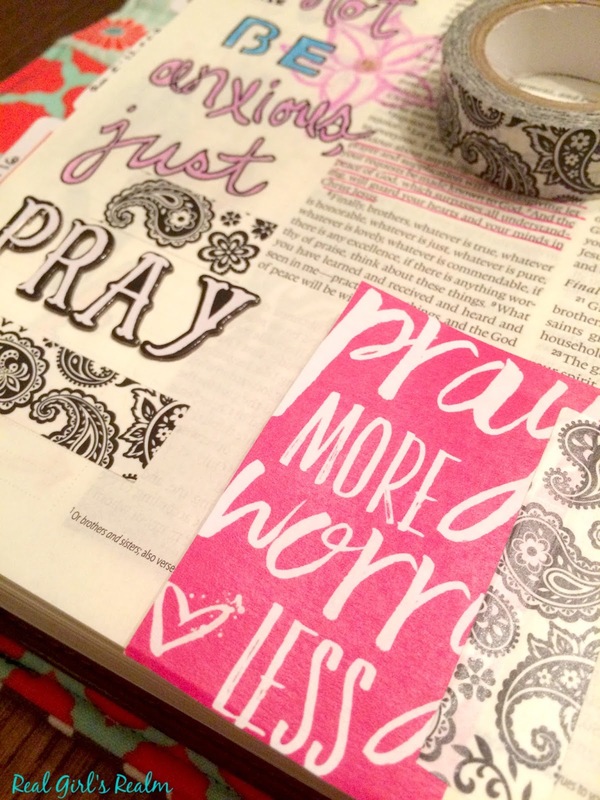 I have been Bible Journaling for several months and have even hosted a workshop with my friend Melanie, but I am still getting comfortable with "coloring" in my Bible. I belong to a Facebook group, Faith in HeART, where we share our artful worship and the question arose about how to use washi tape in your Bible journaling. I am going to share some ways that I use it and how I have seen others use it. If you have never heard of washi tape, it is a decorative tape that is similar to masking tape, but it comes in different colors, widths, and patterns. You can find washi tape anywhere from craft stores to the dollar store, so it is an affordable way to add color to your Bible pages. Since some of the types are semi-transparent, you can even write on it! You can use it for decorating, like I did in this entry by cutting a flag design. You can also cut pieces to create borders or interest around your words. 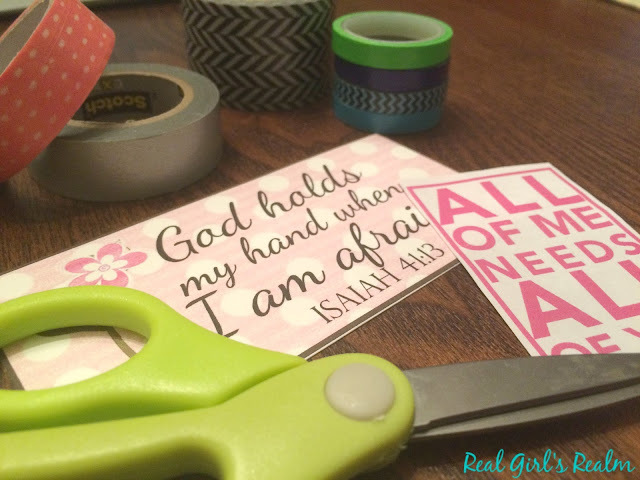 It can be used to tape in prayer or journaling cards and other printables. I printed these from Pitter & Glink and Illustrated Faith. 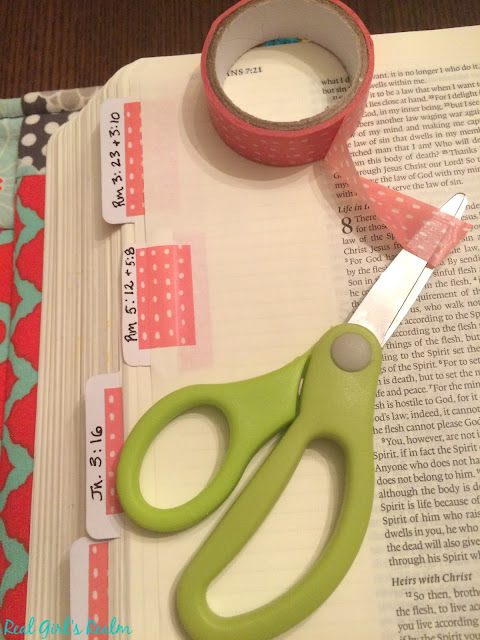 I also use washi tape to affix tabs into my Bible to mark favorite passages and verses. I have used the tabs to easily find the verses for the Roman Road. 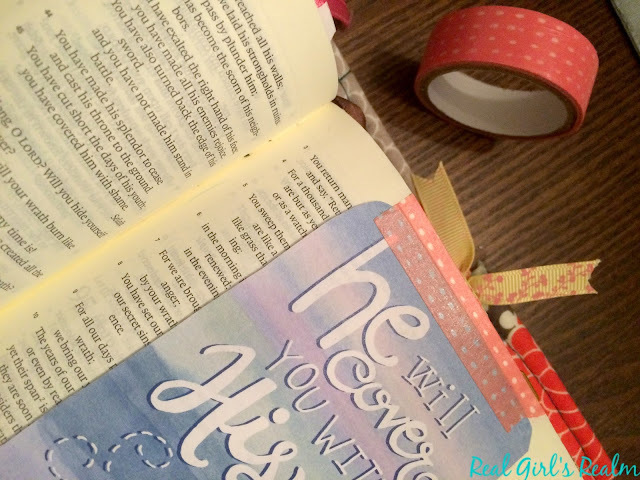 See how my friend Melanie used washi tape to write the Roman Road verses in her Bible. I love this idea! 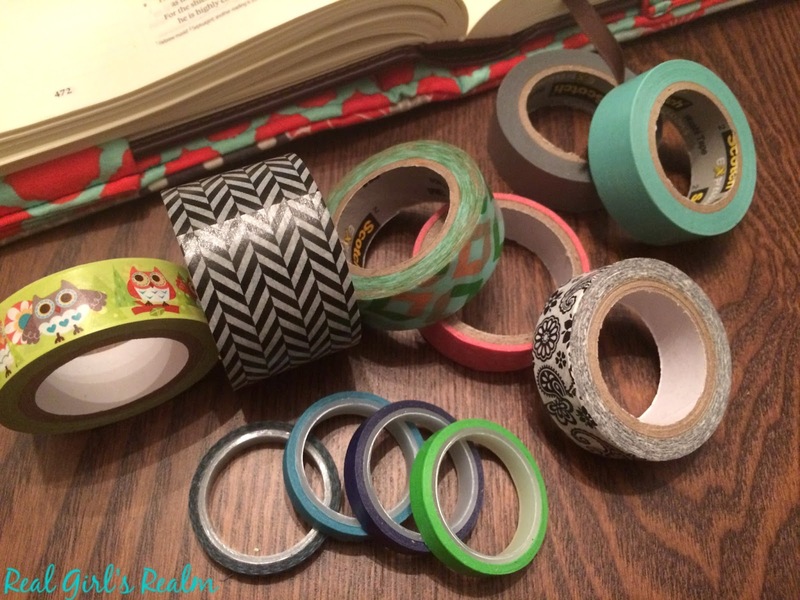 These are just a few of the ways I use washi tape in my Bible. How do you use it? Okay, I am in awe! I absolutely LOVE the tabs you put on the side that mark your favorite verses. I am totally stealing all of these ideas! You are so creative, I would have never thought of any of these! Thank you for giving us a look inside your bible, it looks awesome! Thank you so much Erin! You are so sweet! I am glad I can inspire you and feel free to steal all my ideas! Thank you for sharing my Roman's Road page! 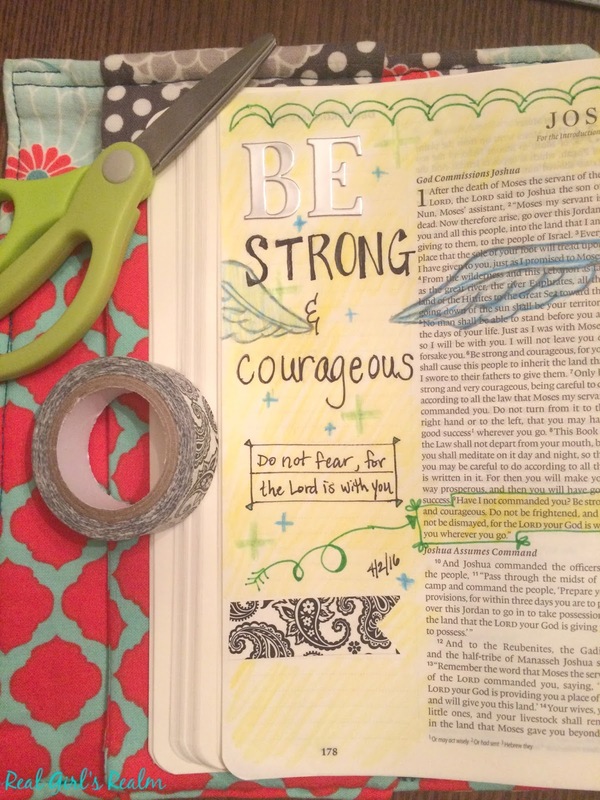 I like using washi tape in Bible Journaling. It is an easy way to get decorative touches inexpensively. You are welcome! I love how you did it! 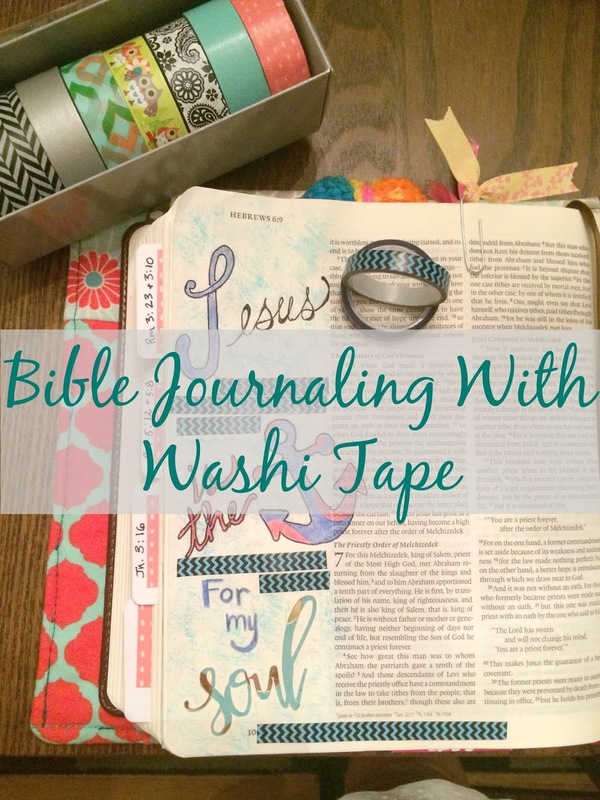 There are so many uses for washi!